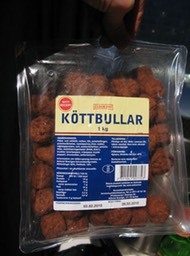 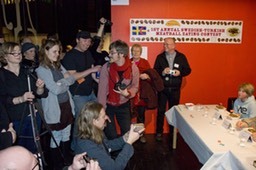 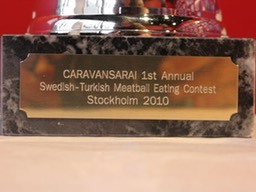 Caravansarai teamed up with artists Arni Gudmundsson and Cristian Rieloff to host a competitive meatball eating extravaganza at the Supermarket Art Fair in Stockholm. 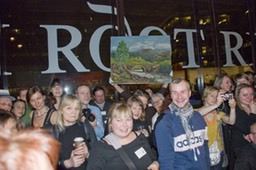 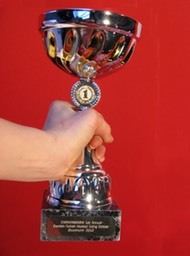 On Saturday, February 20th at 6pm sharp, competitors lined up at the trough to compete for the coveted “Gravy Cup”. 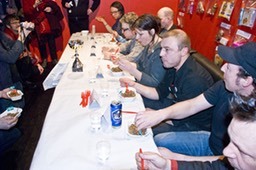 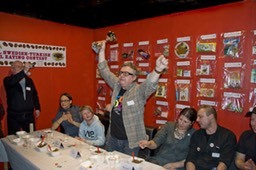 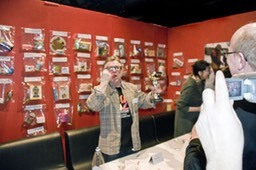 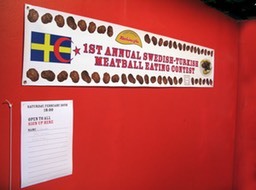 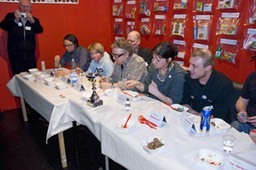 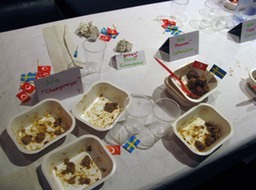 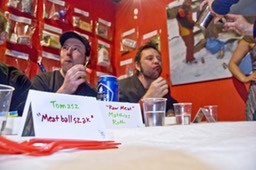 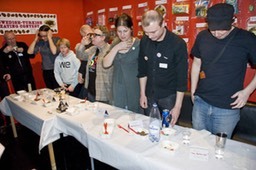 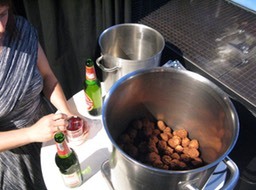 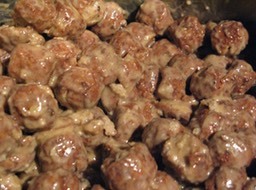 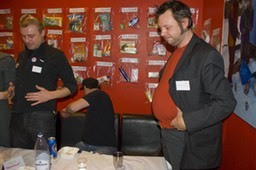 The ten competitors had 10 minutes to consume (without barfing) the most meatballs possible. 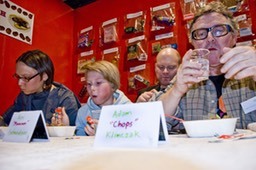 The champion, Adam Klimczak from Poland ate an incredible 55 meatballs!